White Ice in the Black Ship! Fantastic couple ! Floor and backsplash selection and lighting are bonus. Picture credit : Trend Kitchen Cabinets. When the granite quarry first opens the specs inside the granite have some certain colors. As the quarry goes deeper, the colors tend to change. White ice is a good example for this drastic change. First she is identified with her white, cream and black specs. But deeper, White Ice’s specs become grayer, bluish and taupe. I am assuming that these selected pictures find you well. For more backsplash ideas matching with white cabinets and dark cabinets, you may see the other fine taste picture in my related articles. Picture Credit: All Stone Concepts. Spots and waves makes White Ice Granite unique. The Brazilian elegance White Ice is a choice for your kitchen remodeling that will not disappoint. She does not clash with most cabinet colors. Still, your backsplash selection will be best with natural tones. 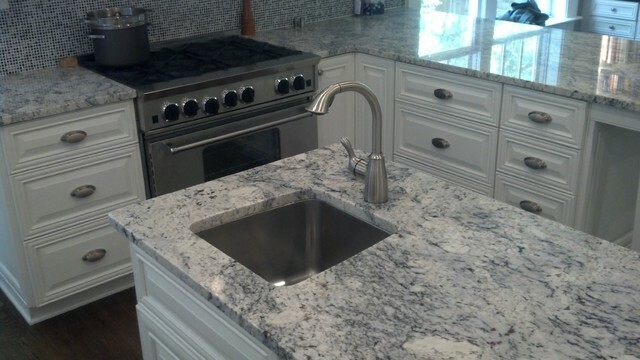 White Ice granite is the best matched with Aqua Subway tiles and light color cabinets. Now, it is time to share the inspired pictures. Please feel free to drop a comment to make this article more lovable. 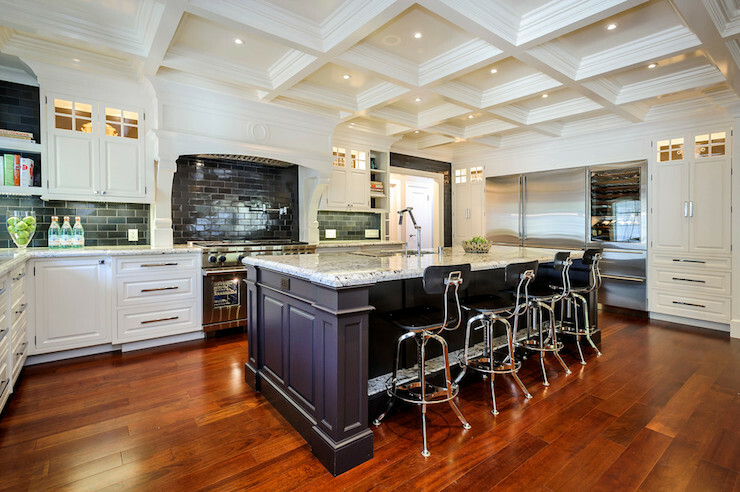 If you would like to learn more about granite material, I may suggest you to check the Granite Countertop : Kitchen Countertop Materials article of mine. White Ice Granite with two tone cabinets and Shiny Dark Green Subway Tiles. Picture Credit: Leslie Ann Interior Design. 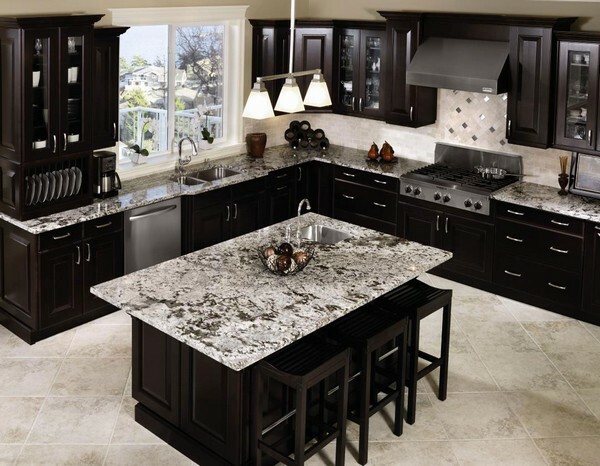 Black island is opposed to blackish greenish backsplash and white kitchen cabinets and cherry flooring, White ice seems like a jewel. Picture Credit: Atlanta Legacy Homes . How lovely combination of pastels colors. 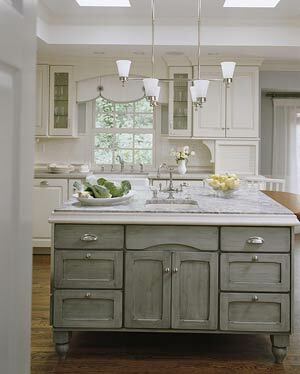 I admire to the Greyish green cabinet island , off white cabinets and of course White Ice Granite.